THE FIRST STEP, and every job is unique, is meeting your requirements! One of our estimators will arrange a site visit to discuss your needs, inspect the existing floor and accurately measure the area creating a detailed floor plan. They'll also bring a selection of samples and make recommendations with a choice of materials and manufacturers. Then a quotation is produced clearly detailing your specified requirements, sub-floor and flooring materials, adhesive and finishing including any other requirements, i.e. where there may be a need to disconnect and remove electrical or specialist equipment before our arrival. Following your acceptance the materials are ordered for delivery to our warehouse. All the details of your specific requirements will be discussed with the estimator to ensure your new floor is installed with the minimum of disruption and in accordance to your requirements following guidelines set out by the industry and British Standards. We source the best materials for the job in hand from a wide variety of trusted brands across the UK and Europe like Desso, Karndean, Altro, Westex and Heckmondwike. Justfloors Ltd installations are carried out in accordance with manufacturers recommendations. When it is your or your organisation’s policy go to tender or gain competitive quotations, always ensure the quotations are exactly like for like. Unlike some other companies who profess to be ‘flooring contractors’, Justfloors are not in the practice of taking up your floor then stating there are extras here and there. Rarely there may be a genuine exception. Sub-floor investigation, preparation, correct installation and learning about the premises and environment before works commence is how Justfloors operates. This is vital to ensure the expected lifetime of any flooring installation, safeguarding your ring-fenced budgets and financial forecasts for when flooring should require replacement. You can be assured by Justfloors expert advice gained from many years of experience and manufacturers training courses. Justfloors Ltd is the perfect choice for your flooring. We are proud to be an ISO 9000:2008 accredited quality assured company since 1998. 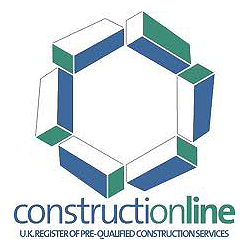 This means all our installations are carried out to the published British Standards. We are visited once a year by the BSI who go through all our working processes and quality policy, from taking the initial enquiry through to completion. They check that our Health and Safety practices and management processes comply with their strict criteria. The BSI also checks how we analyse all our data. It is also a requirement that we self-evaluate our performance throughout the year to ensure our processes work and if there is a need for improving any process. This is the UK Government Certification Scheme that certifies that Justfloors Ltd meets pre-qualification requirements appropriate to public and private sector procurement. This certification requires upto company information to be submitted throughout each year, including insurances, environmental and health and safety information. We are an approved member this scheme for Hampshire County Council. We chose to apply for this rather than the many others available to subscribe to, as it means Justfloors Ltd is approved by Trading Standards. Our work is monitored by the Trading Standards team through customer feedback. This is the trade association for our industry. Only CFA member flooring contractors are approved to install flooring for Marks and Spencers.